Great news to wake up to on a Monday... Jack Savoretti has announced a string of live dates in November, including the already announced huge show at London's Eventim Apollo (which it happens to be 100 days until, not like I'm counting!) If you haven't listened to Jack before I hugely recommend doing so, he's one of my favourite artists and he and his band are superb live performers. Start off with his latest record, the hugely successful Written In Scars. 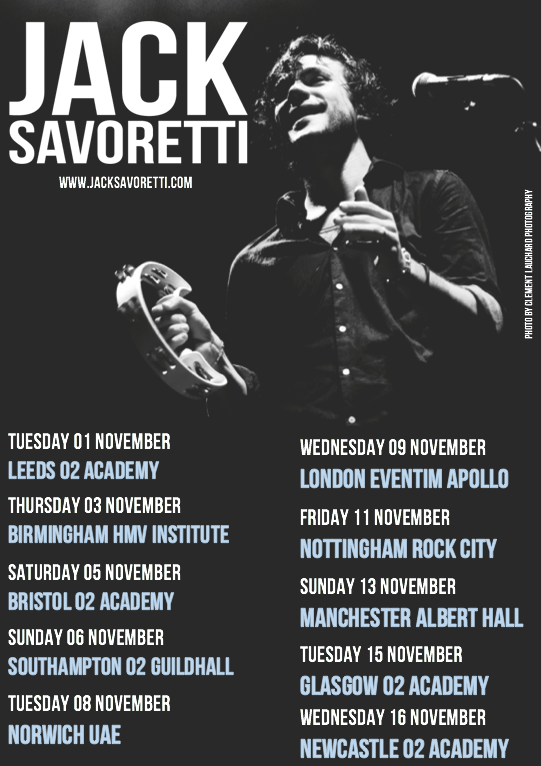 Sign up to Jack's mailing list here to get access to the pre-sale on Wednesday, I assume general sale will be on Friday!